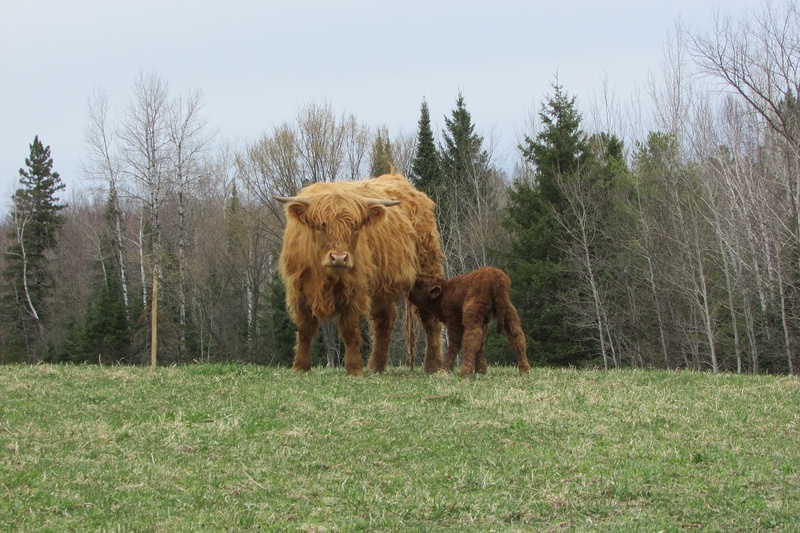 Effie was the first of my herd to give birth. 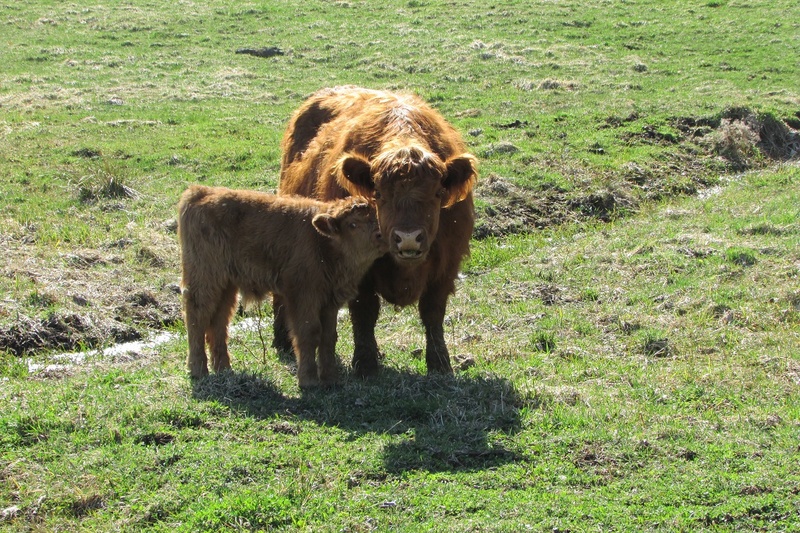 I found her calf lying on the cold spring earth. Letting me pet her newborn calf on the ear. She wisely waited until after the snow. 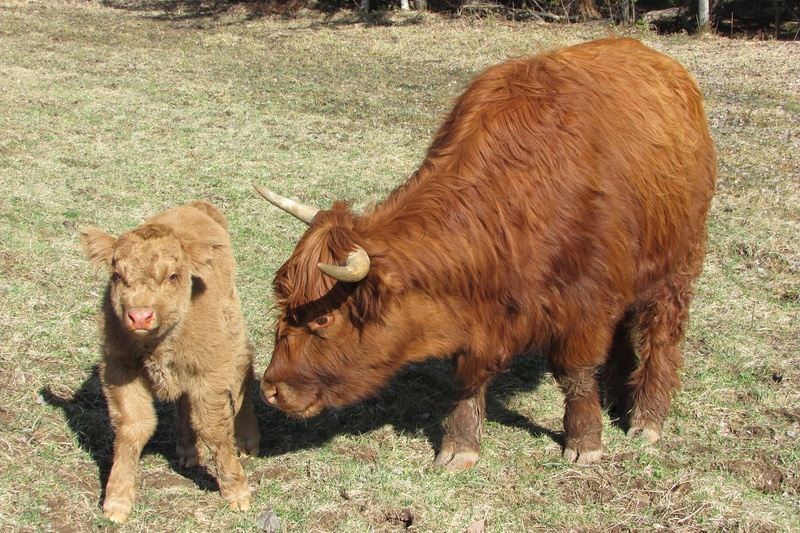 She had her little calf – it was her first one. And we are awaiting three little calves still. I heard my Maisie voice a fearful bellow. When two wolves appeared; they were ready to kill. Ready to protect one so recently born. I also ran up. I was armed with my gun. I shot and missed, but they set off on a run. 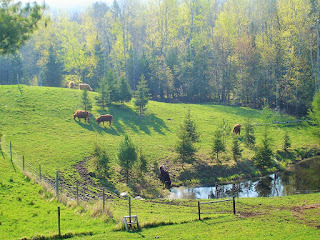 Our calves are now three, small bulls once, twice and thrice. Bull calves are fine, but a heifer would be nice. Although during the night, they said not a word. 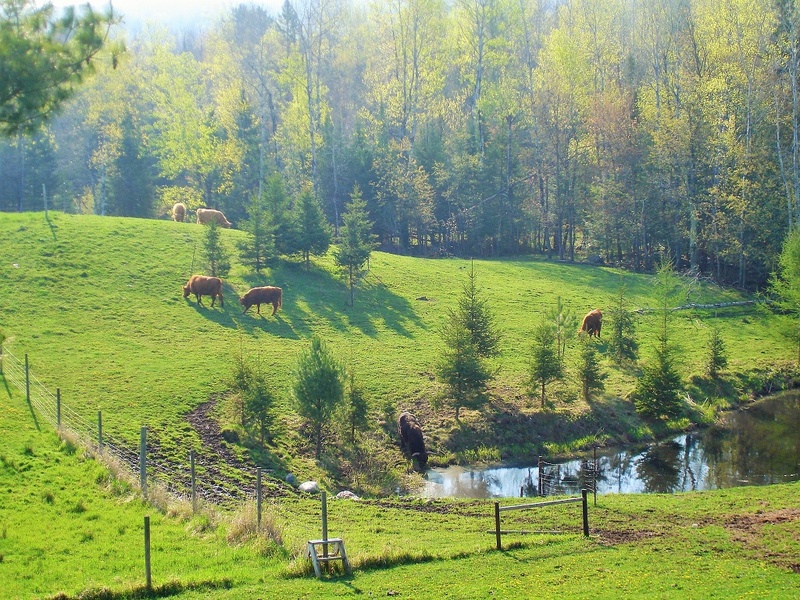 I counted the calves – one, two, three, but then four. Our Agnes had given birth to one more. The mom came at me as if ready to fight. Agnes gave me a her, instead of a he. Oh Cora, like last year we waited so long. I know you are old now, and are not so strong. 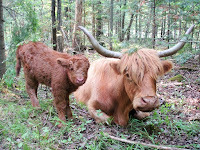 And McTavish and I would fight for our cow. One thing with Cora – she cannot be hurried. Worried that something had developed amiss. Cora is old, perhaps too old to for this. But Cora lies chewing her cud unconcerned. With age comes patience, and there’s much she has learned. Away from the herd and just out on her own. This is not common for my gregarious cows. My interest was stirred, my excitement aroused. 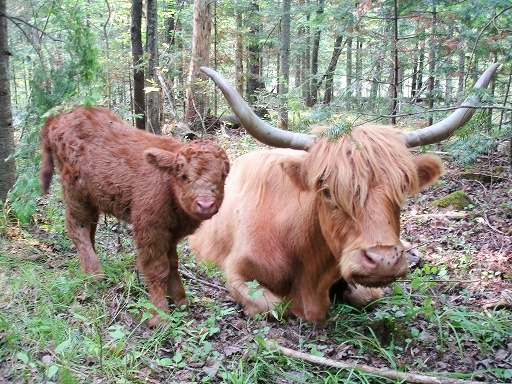 And her new little calf walked right up to me. A girl, a little Cora, a Corabelle! This is the story of my herd for this year. Some waiting. Some hoping. Even some fear. By God’s good grace, I have a fine, healthy herd. By God’s faithfulness, he was true to his word.